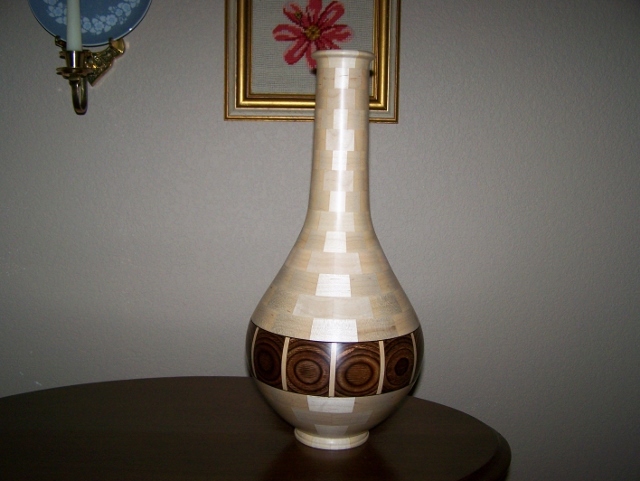 Dale Green, of Aledo, will present our January program on “Segmented Turning Techniques”. 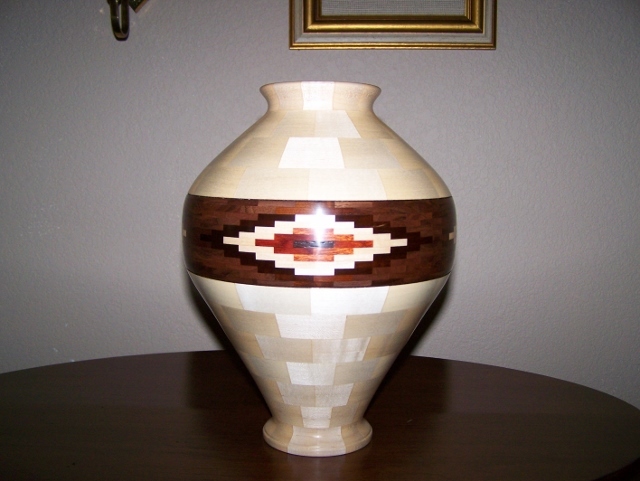 Twenty years ago Dale started turning segmented vessels and though he spent about five years turning green wood, he limits his turning activities now to only exploring the world of segmented objects. Using the table saw with a special sled that he has designed to cut the segments, he composes how each piece of the vessel fits his design with the aid of a Microsoft Excel spreadsheet program. Cutting really small pieces on the table saw can sometimes result in surprising and even dangerous kickbacks. Dale has developed a special technique that has been extremely successful to eliminate these kickbacks. As a result of Dale’s hobby, his vessels have been given or donated to some of the most important people or organizations you can imagine. None of his work has been for sale because he gets his reward from “Psychic Pay”, which is worth more to him than anything else.